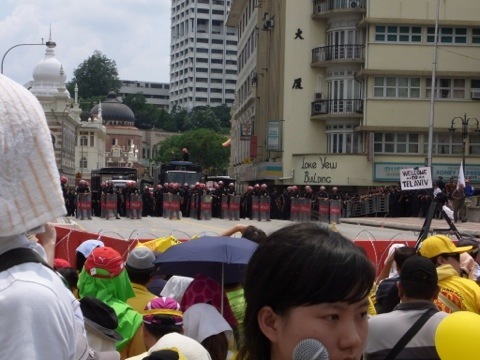 The Malaysians who thronged the city around Dataran Merdeka and the roads leading to it were peaceful. 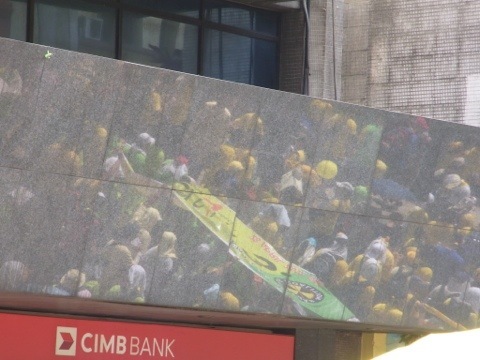 They sang the national anthem Negara Ku (My Country) and chanted Bersih! 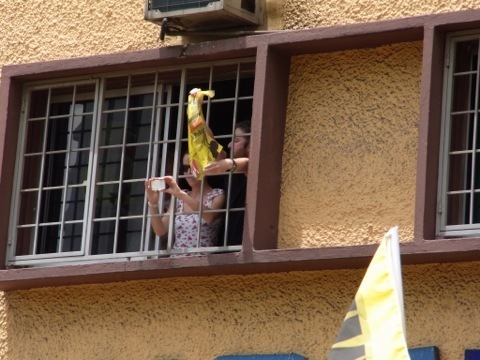 Bersih! along the way. There were grandpas, grandmas, papas, mamas, sons and daughters including some who came in their wheelchairs joining forces in full solidarity together. 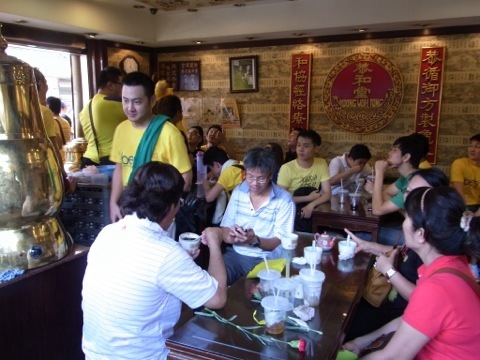 They were from all racial communities and included a number of foreign visitors who joined in. 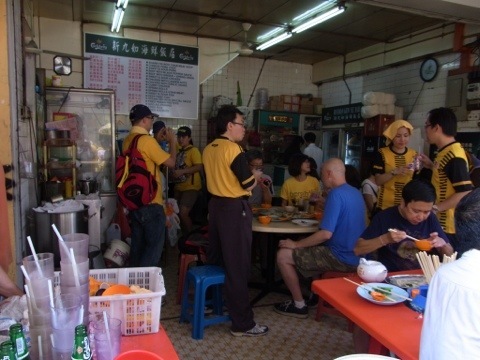 And they were a truly peaceful bunch of friendly people in the true Malaysian muhibbah spirit enjoying themselves. They were only there for a clean and fair election. They were having fun. 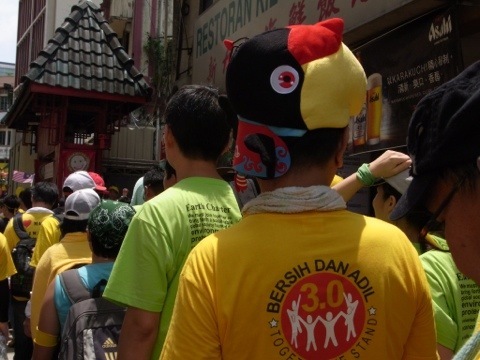 Here are some interesting pictures contributed by many people who were there at the duduk bantah yesterday! Hope it puts a smile on your faces. Golly gee! High platform sandals are back in fashion. 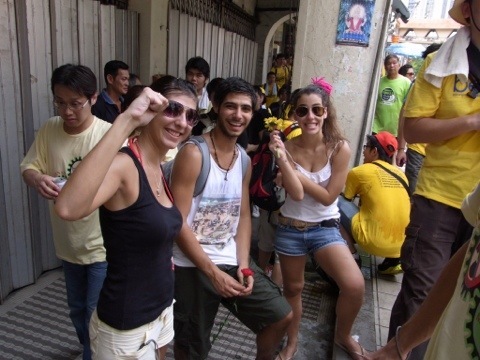 A foreign couple showing support to the crowd. 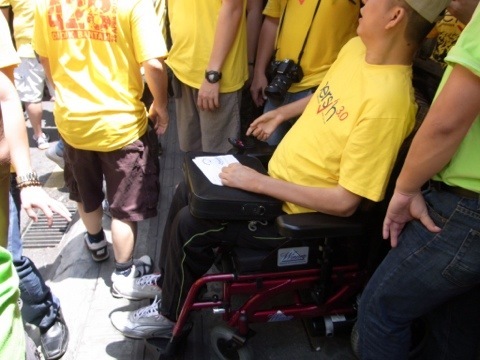 Even he came in his wheelchair. 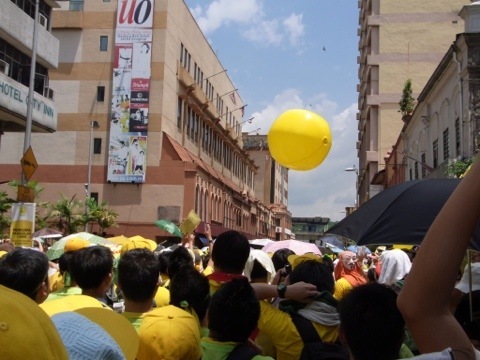 A large yellow ball played above the crowd. 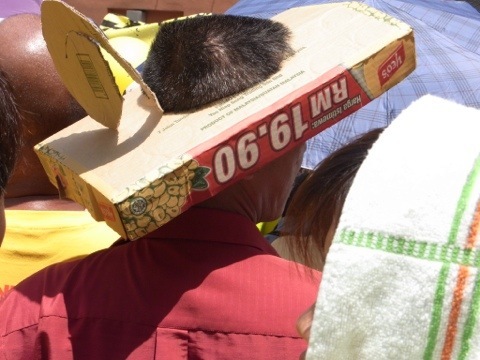 Interesting way to get a shade for his eyes. 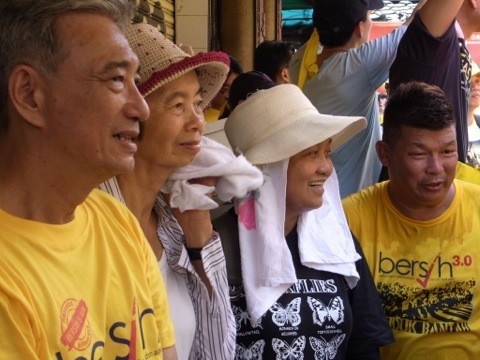 Go Bersih! Pretty good supporters. Making a fashion statement with a flashy cap. Legal eagles to the fore! 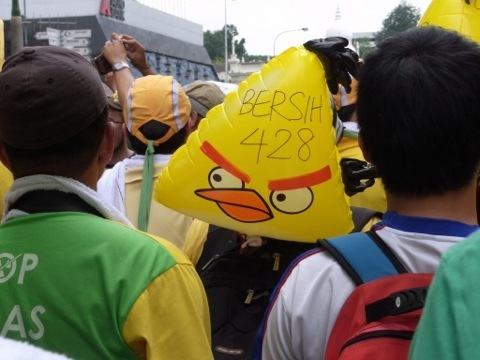 Even Angry Bird was there. 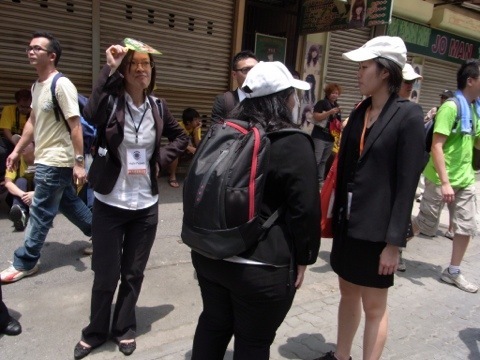 Conscientious volunteers keeping KL clean. 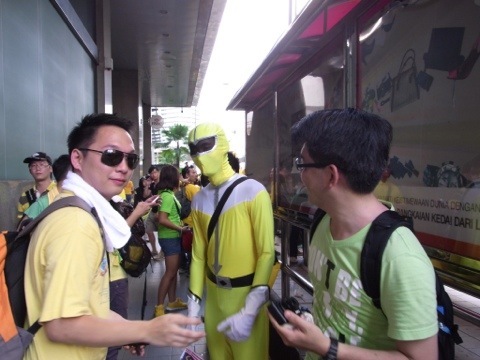 A superhero was spotted too. 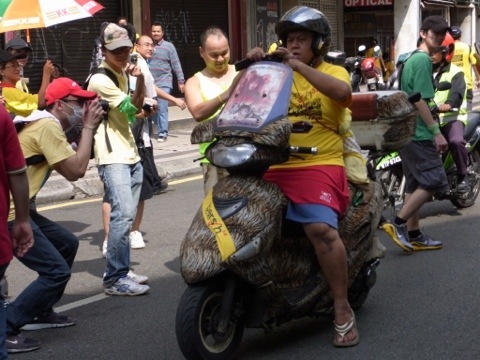 A definite Bersih supporter. You can’t miss it. 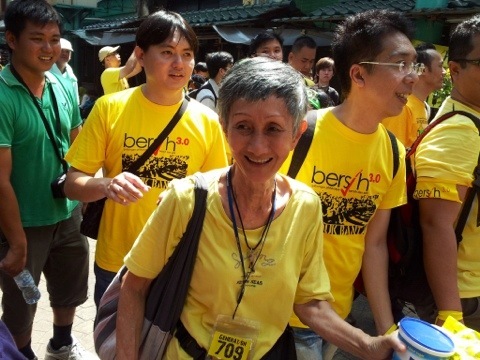 Aunty Bersih showed her support yet again. The senior citizens came out to support too. Having a health drink before the event.